We now live in a digital society. New digital technologies have had a profound influence on everyday life, social relations, government, commerce, the economy and the production and dissemination of knowledge. People’s movements in space, their purchasing habits and their online communication with others are now monitored in detail by digital technologies. We are increasingly becoming digital data subjects, whether we like it or not, and whether we choose this or not. The sub-discipline of digital sociology provides a means by which the impact, development and use of these technologies and their incorporation into social worlds, social institutions and concepts of selfhood and embodiment may be investigated, analysed and understood. This book introduces a range of interesting social, cultural and political dimensions of digital society and discusses some of the important debates occurring in research and scholarship on these aspects. It covers the new knowledge economy and big data, reconceptualising research in the digital era, the digitisation of higher education, the diversity of digital use, digital politics and citizen digital engagement, the politics of surveillance, privacy issues, the contribution of digital devices to embodiment and concepts of selfhood and many other topics. 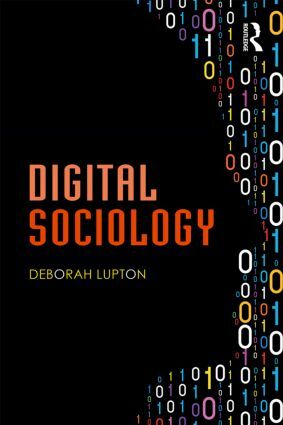 Digital Sociology is essential reading not only for students and academics in sociology, anthropology, media and communication, digital cultures, digital humanities, internet studies, science and technology studies, cultural geography and social computing, but for other readers interested in the social impact of digital technologies.